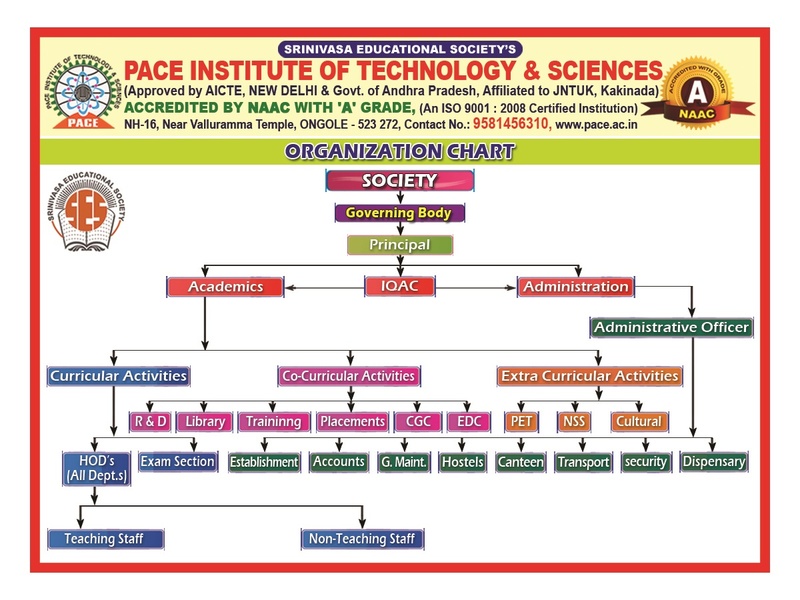 It is proud to say that the college is provided with well furnished, modern and spacious class rooms with teaching aids like OHP, LCD Projectors etc. All labs are equipped with up to date sophisticated equipment. Computer Centers and Language Labs are air conditioned and equipped with 1025 No. of high configured computer systems with 18.5" TFT Color Monitors. Our twelve-acre and Wi-Fi enabled campus have two furnished hostels, sophisticated labs,89 classrooms, a top class library, an administration building, a guest house, a cafeteria, a volleyball court, a basketball hoop, ping pong tables, cricket ground, lots of grassy areas, trees, plants, flowers and birds, in our humble estimation, this is the place to immerse yourself in Learning & Fun. 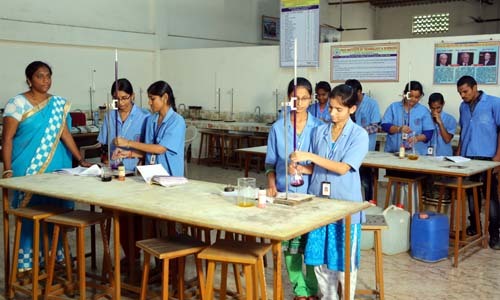 The College provides separate accommodation for girls & boys. These are located in salubrious atmosphere and surroundings favorable for studies. An exclusive & well secured hostel for girl students is available in the campus. 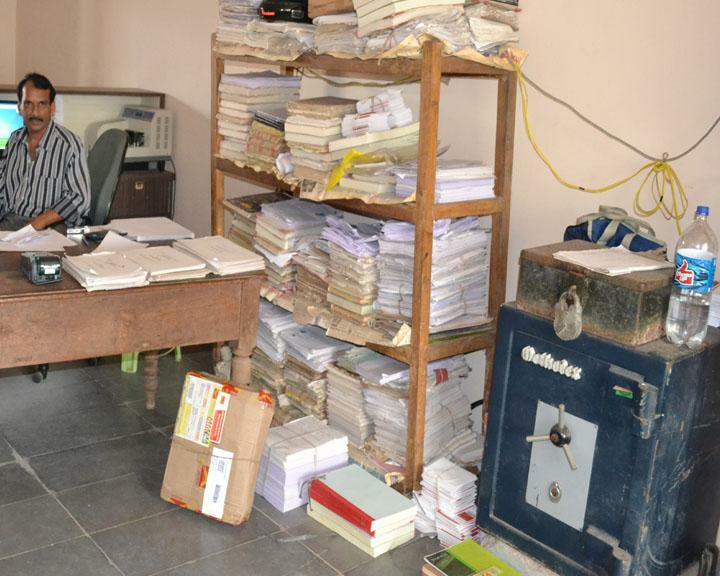 The safe atmosphere, caring warden and the hostel maintenance staff are the assets of our hostel. The Ladies hostel has well furnished rooms with all the necessary facilities and amenities. The hostel provides a quality living impression with a homely feeling. Computers with internet connectivity are provided at Girls hostel for the students educational purpose. A beautiful hostel for boys is available in the campus with necessary amenities like individual cot, study table, chair & wardrobe with locking facility. 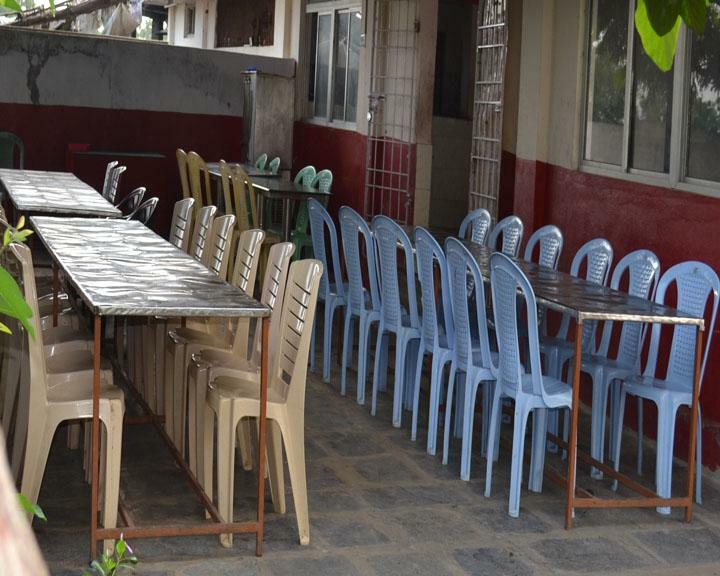 The hostel is provided with 24 hours power backup and good drinking water facility. It provides Systematic & Comfortable Environment to the students with Spacious, Fully Furnished Rooms with all basic requirements, Disciplined Environment and study hours are conducted to generate good results. Both A/C and non A/C rooms are available for boys and girls. 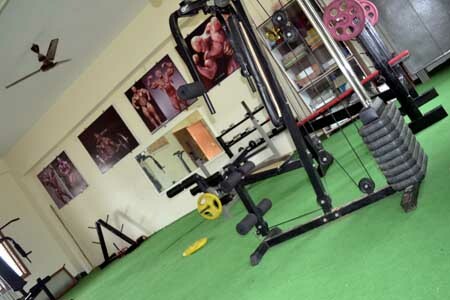 Fully Equipped GYM is available. 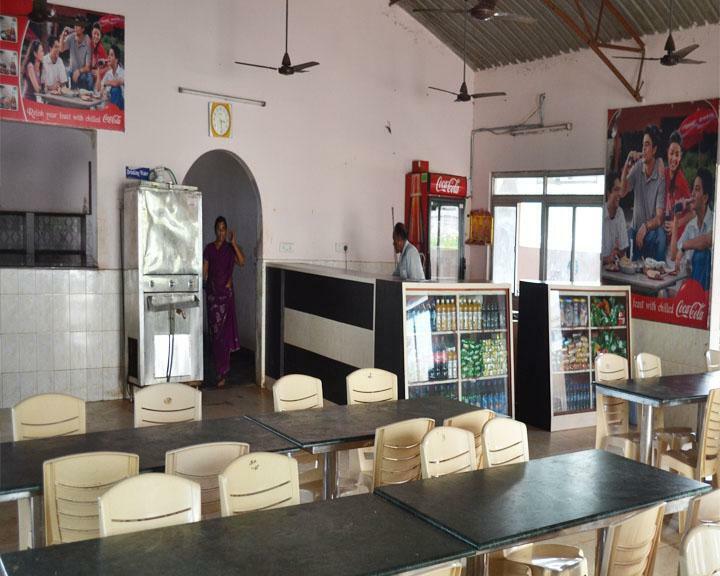 Spacious and Hygienic Dining Hall. 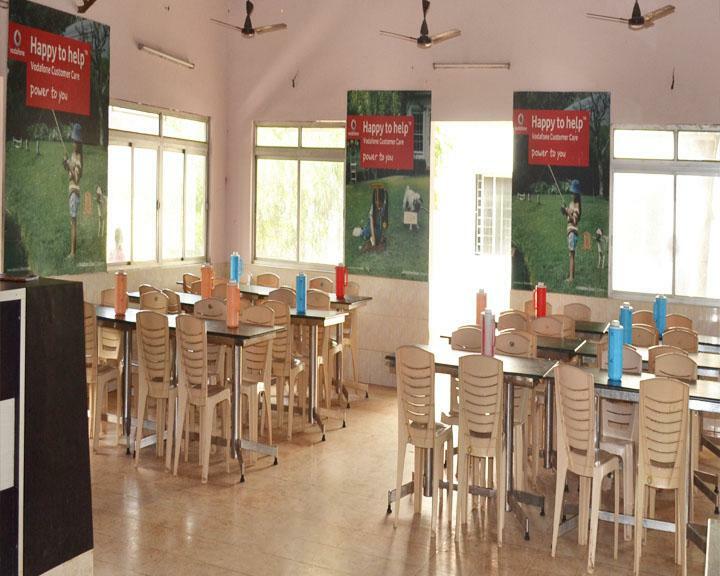 Recreation Room provided with Newspaper, Magazines & Indoor games. 40 Mbps Powered Wi-Fi Campus. Science is a passion - a never ending voyage into promises and possibilities. For inquisitive and innovative minds, we have modern laboratories with sophisticated modern equipment for undertaking leading edge research. Each Department is provided with the latest computer systems and internet facility. 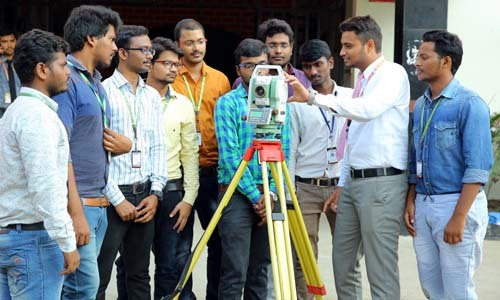 We also encourage greater industry-academia collaboration between the college and various industries, so as to make the students competent and eligible for the industry needs and market requirements. Canteen is the refreshing place for the tired young minds. 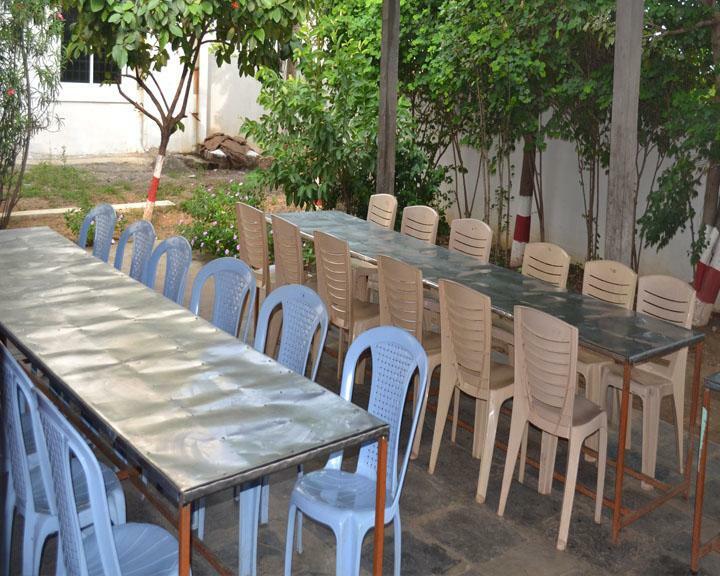 It has been especially designed with clean and comfortable environment where they can enjoy their food. 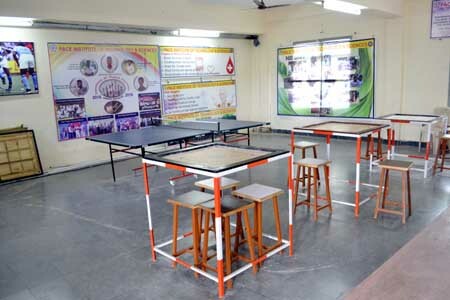 College cafeteria is open to the students, staff and other visitors. 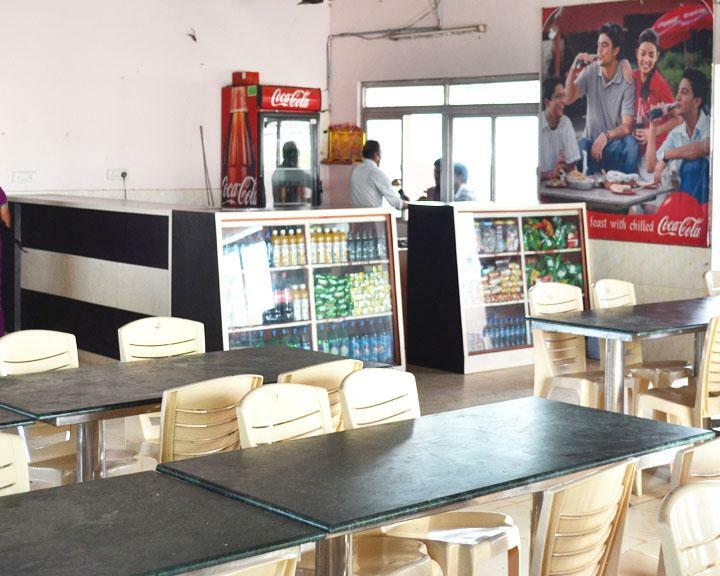 The cafeteria serves fresh & hot meals and menu has been planned scrupulously to best fit the needs of the students. As a favorite spot of students, the cafeteria provides hygienic and healthy foods, snacks at affordable price. 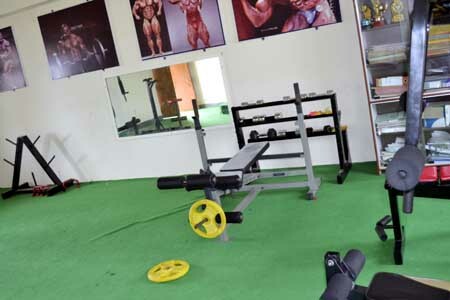 The college trains not only the young minds in the realm of knowledge but also aims for physical fitness of the students. 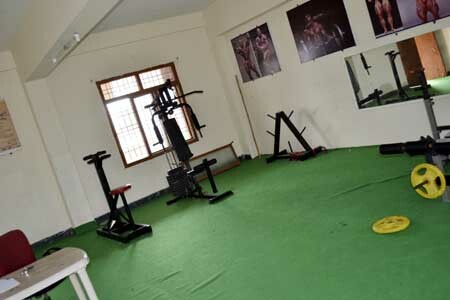 In view of this, a highly furnished GYM has been provided for boys and girls separately in their respective hostels. 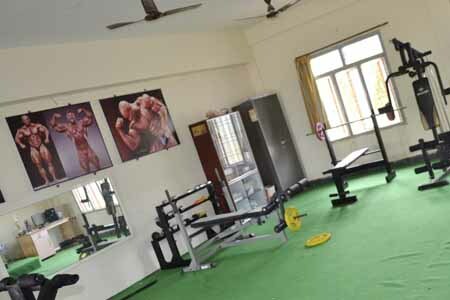 Gym provides a great relaxation to our students and provides a robust body and mind. 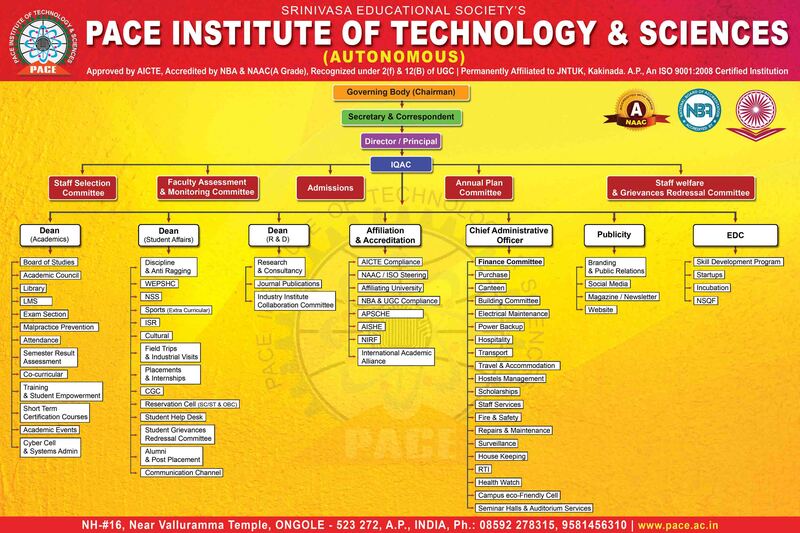 To provide comfortable access to students from all the corners of Ongole, PACE accommodates convenient bus service to all its students. It is just a 10 minute drive from Ongole town. The college is easily accessible by public transportation also. Buses from Ulavapadu to College. Buses from Kandukuru, Singaraya konda, Tanguturu to College. Buses from Pachava, Pidipadu, Jarugumalli to College. Buses from Kondepi ,Thumadu , Tanguturu to College. Buses from Madhuluru,Gangavaram ,S.N.Padu to College. Buses from Podili,Chimakurthy,Pernamitta to College. Buses from Turpugangavaram,Talluru,Maddipadu,Lingumgunta to College. Buses from Addanki, Medarametla, Maddipadu to College. Buses from Chandaluru ,Pamidipadu , Medarametla to College. Buses from Raparla,Ammanabrolu,N.G.Padu to College. Buses from Kothapatnam,Alluru,Koppolu to College. Buses from Mangamuru ,Sujatha Nagar to College. Buses from Ongole Town-2 to College. Buses from Ongole Town-3 to College. Buses from Ongole Town-1 to College. Buses from Pernamitta to College. 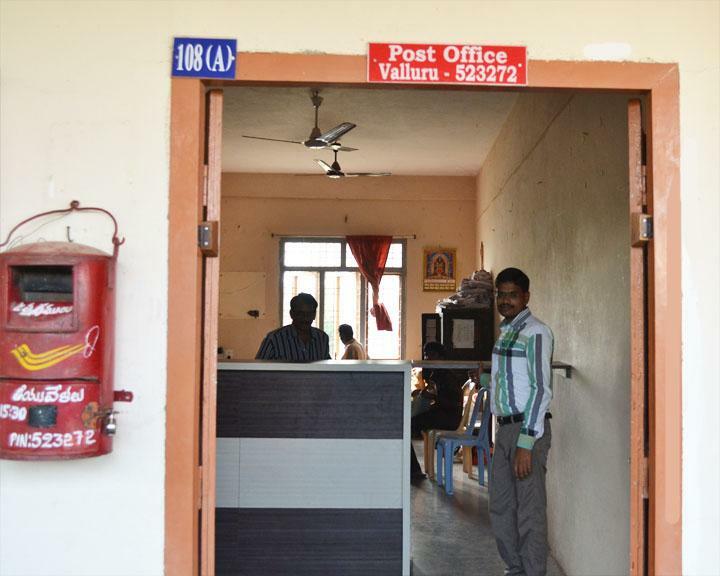 Post Office facility is provided at the college for the benefit of the students, faculty, administrative staff and the people who are living at the nearby village Valluru. Internet has become a part and parcel of our everyday life. Especially for students, Internet is a great tool for learning & research about their subject area from thousands of articles around the world, besides communicating with experts sitting across the globe for information sharing. 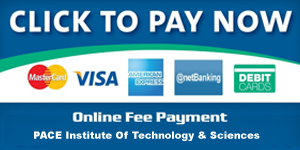 In view of this the institute provides Wi-Fi, 24x7 internet facility. 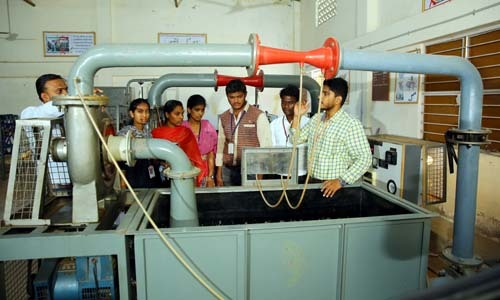 The institute also has high quality persistent bandwidth offering high speed and uninterrupted 125 Mbps (1:1) connectivity on Optical Fiber Network. In order to provide round the clock medical facilities to the students, dispensary is created at the campus that attends to unforeseen medical emergencies. PACE possesses a fully fledged medical dispensary under the supervision of well qualified and experienced doctor as well as a nurse. 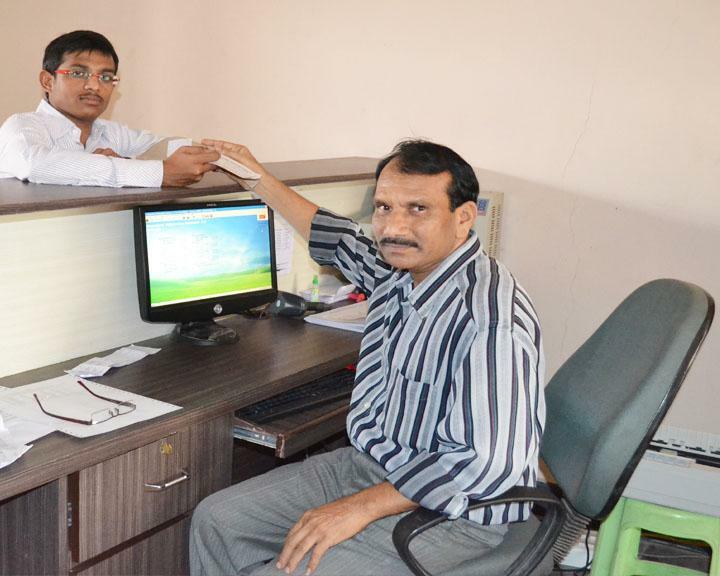 Free medicines to students & staff from the college dispensary.